This information is only used by our Gateway provider who has been certified by the major credit card companies. 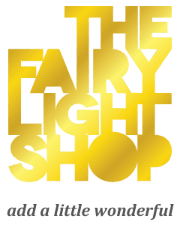 The Fairy Light Shop will not sell, rent, or lease your personal information to any third parties. Any information by which you can be identified will only be used in direct communication with The Fairy Light Shop. From time to time The Fairy Light Shop may request personal details for marketing purposes.